Reasonable Locksmithing provides both car trunk and glove box lock repair services in the Montrose LOCKS & LOCKSMITHS market. Have you ever been in a situation where you had something valuable locked in the back of your car or in your glove compartment and were unable to retrieve it due to a faulty or broken lock? You’re not alone, and it can be a very frustrating and inconvenient experience. However, Reasonable Locksmithing can quickly and safely open your car trunk or glove box for you in only a few minutes. In order to do so we will enter your car from the back door and unscrew and extract the lock assembly of the truck cover, allowing access to your car trunk. Moreover, Reasonable Locksmithing can also provide a lock actuator for your trunk lid as the situation demands. In addition, we can provide you with a trunk lock replacement made of various materials, colours, and finishes, including chrome. Furthermore, for added style and support we can supplement your new trunk lock with a rod cover for the dashtop. We have also helped some of our Montrose LOCKS & LOCKSMITHS clients who were only able to open their car trunks by using the pull lever near the gas pedal (also known as the more convenient method). 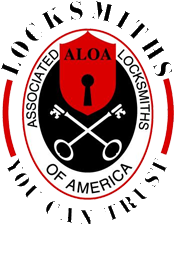 In such a situation Reasonable Locksmithing would be able to replace the lock cylinder and provide you with new car keys or have the lock recoded so that you use your original keys to open the trunk instead of having two sets of keys. The choice is yours. Regardless of your car trunk lock problem Reasonable Locksmithing will rectify the problem quickly and effectively in only a few minutes using the most advanced car trunk lock repair and replacement technology. In addition, Reasonable Locksmithing provides glove box repairs and replacements at competitive rates. We can fix your broken or faulty glove compartment lock in only a few minutes or replace the locking latch if you wish. Reasonable Locksmithing will provide the most reliable and durable glove box locks on the Montrose LOCKS & LOCKSMITHS market and all of our parts and labour come with a 3-month warranty.